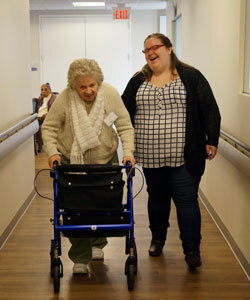 The Day Program utilizes a person-centered care approach to provide an environment that focuses on people’s strengths rather than their memory limitations, addressing the needs of the total person: physical, mental, and emotional. Recreational Therapy activities are designed to restore motor, social and cognitive functioning, build confidence, develop coping skills, and integrate skills learned in treatment settings into community settings. Take a look at the calendar, see the programs in action, and learn more about the different types of programming we offer. 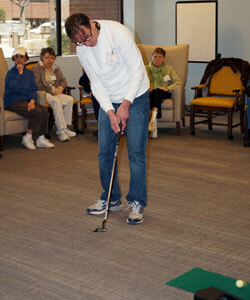 IMCC provides a wide range of activities at the Adult Day Health Center. Activities are described below in six categories: cognitive, expressive, physical, social, sensory, and spiritual. These are also designated on the monthly activity calendars. Many activities provide benefits in multiple, if not all areas. 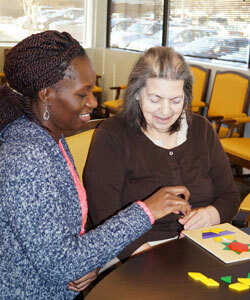 Cognitive programs utilize working memory from the past and help maintain skills. Cognitive programs include Brain Fitness which utilizes specific cognitive activities which are designed to stimulate dendrite and neural growth and increase overall brain function. 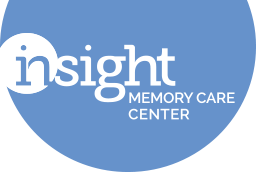 Large groups and small group activities rely on reminiscing, retrieving information from long-term memory. Cognitive programs are weaved into active games which allow all participants to participate and be successful. Our programs include: Learning Circles, Brain Fitness Group, Brain Fitness System by Dakim, and Montessori Activities. Creative programs promote imagination through self-expression. Opportunities are provided to express emotions, thoughts, and feelings that the participant may otherwise be unable to express. These activities promote engagement and self-worth, while group programs allow for socialization and opportunity for success. 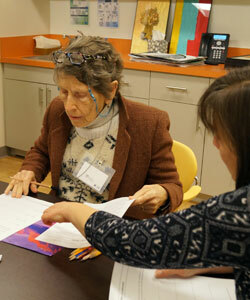 Our programs include: Art Therapy, Creative Arts, Creative Writing, Writing Groups, and Support Groups. Physical programs aim to maintain and improve strength, flexibility, balance, movement and endurance. These programs are designed to maintain or increase function while potentially decreasing depression. 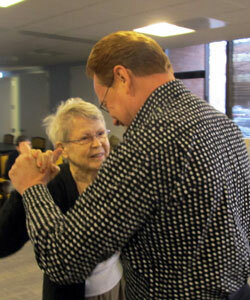 Programs such as dancing have been shown to increase socialization as well. 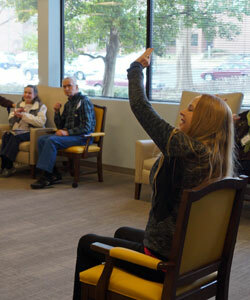 Our programs include: Daily Exercise, Dance, Walking Club, Active Games, and Physical Therapy. Psychosocial programs are designed to increase positive relationships with others, provide opportunities to express emotions, increase decision making motivation and social interactions, and decrease depression. These activities help those who are passive become engaged, and provide positive experiences. 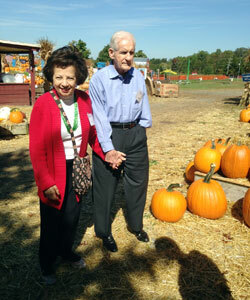 Our programs include: Discussion Groups, Pet Therapy, Memory Teas, Entertainers, and Field Trips. Sensorimotor programs aim to evoke an active response from participants, such as engaging passive or apathetic individuals or calming those who are agitated. Sensory cues are offered for those with limited cognitive or verbal abilities. 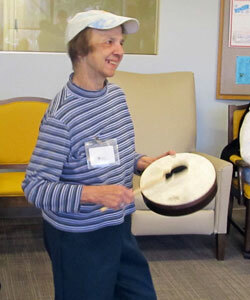 Our programs include: Music Therapy, Music & Memory, Multi-Sensory Environment, and Massage and Touch Therapy. Spiritual and Reflective Programs enhance well-being and connectedness with self. These programs aim to promote a sense of purpose and belonging, as well as to maintain involvement in the larger community. 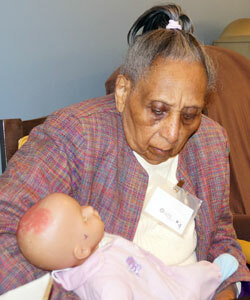 Our programs include: Meditation, Intergenerational Activities, Volunteerism, and Life Skills Programming. 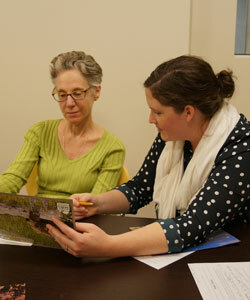 Small groups, based on participant’s cognitive level, meet to learn about topics of interest and maintain reading, writing, and discussion skills. Small groups based on cognitive level, a variety of exercises designed to stimulated dendrite and neural growth and increase overall brain function. All participants exercise the brain through current events discussions, reminiscence, trivia, word games, puzzles and bingo. Making use of the Montessori principles - guided repetition, task breakdown, and progressing from simple to complex - activities focus on maintained abilities. Daily exercises include stretching and flexibility activities, strengthening exercises, and a morning march, along with weekly Tai Chi and PT led exercise. Dancing is more than just fun – it has social, physical, and cognitive benefits! 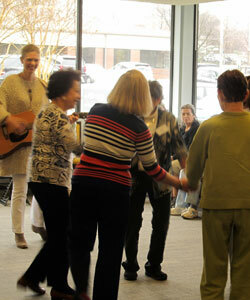 Led by a ballroom instructor, participants enjoy familiar songs and learn new steps. Participants are able to enjoy the physical and social benefits of walking, both inside and outside of the center. Bowling, golfing, balloon volleyball, and other active games keep participants physically active and socially engaged with others. Provided by a licensed physical therapist, exercises help maintain strength, balance, and coordination to maintain everyday living skills. 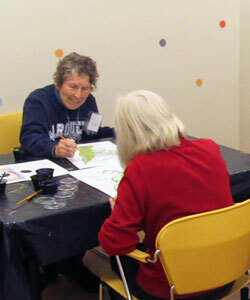 While it may look like a typical art session, art therapy focuses on each participant’s inner experience; their feelings, perceptions, and imagination. 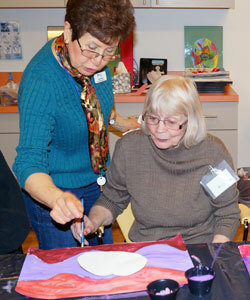 Arts activities provide an opportunity for creativity, self-expression, and socialization. Programs include the arts, group writing, and drama activities. 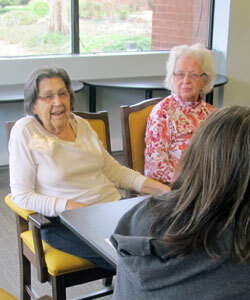 Small and large groups promote reminiscence, encourage expression of thoughts, and are based on participant’s interest. 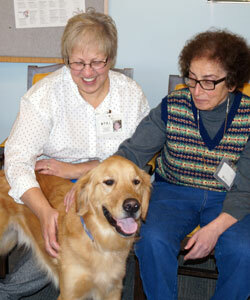 PALs brings trained therapy dogs to visit with participants to improve social, emotional, and cognitive functioning. 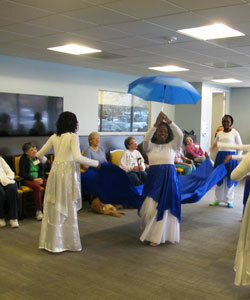 Musical groups and entertainers provide enriching live entertainment to the daily programming. Participants enjoy many excursions to area museums, parks, and restaurants to promote a sense of normalcy, and provide fun and socialization! Music is incorporated in daily programs - cognitive programs, music appreciation, musical trivia, sing-alongs, and programs that utilize personal preferences. 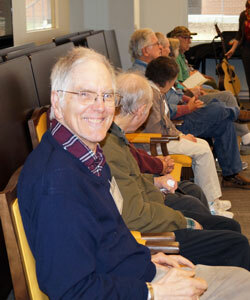 Our music therapist leads a weekly group in a formal exercise routine while singing familiar tunes. This program gets everyone moving to the music. Those in the later stages engage daily in individualized life skills programming to maintain remaining skills and help connect to the world around them.